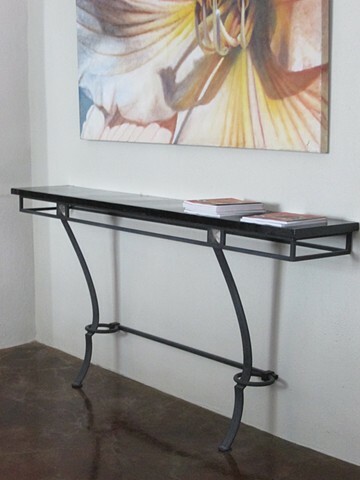 Metal console table fastens to wall. Based on a vintage design. Available in custom sizes and finishes.